I don’t just train people. I help them find the confidence to learn. The Short Bio: Jennifer has 20 years of experience in libraries, in both public-facing and behind-the-scenes roles. After 17 years at the Boston Public Library – the last five as Web Services Librarian and Public Technology Curriculum Coordinator – she established her own business providing technology training and consulting services to libraries. For the past two years, Koerber has acted as staff Training Manager for the Harvard Library ILS migration. She has written extensively for Library Journal, and is the co-author (with Michael P. Sauers) of Emerging Technologies: a Primer for Librarians (Rowman & Littlefield, 2015). In May 2018, her book Library Services to Immigrants and New Americans: Celebration and Integration was released by Libraries Unlimited. 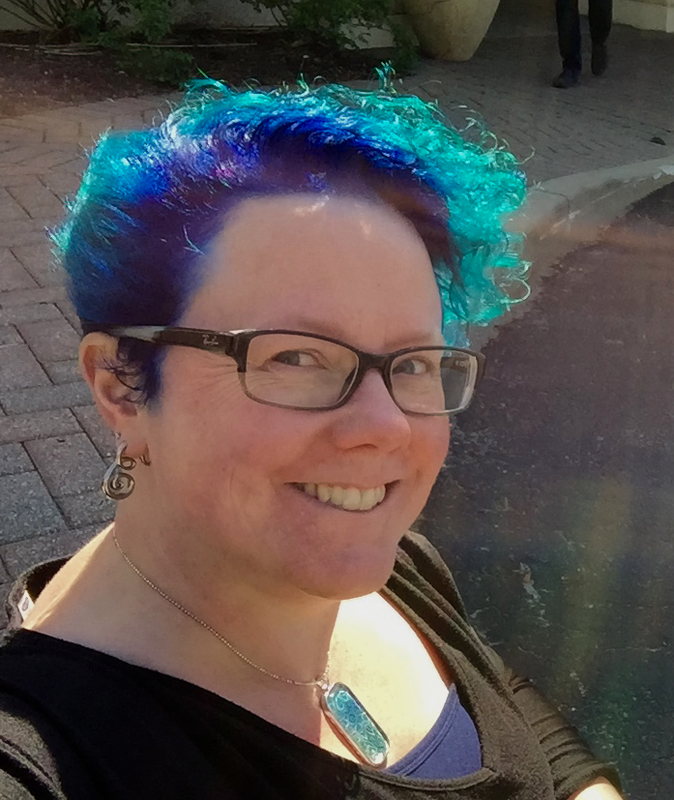 A Bit More: Jennifer is a consultant, writer, and speaker on emerging technologies, the social web, usability in a library setting, and staff development. She is a self-hacked tech-savvy librarian, and guided people interacting with technology for 20 years as a children’s librarian, reference librarian, library branch manager, web services librarian, public training curriculum coordinator, consultant/trainer, and staff training program manager. She earned her MSLIS from Simmons College in 1998 and worked for the Boston Public Library for 17 years before setting out on her own. She has written articles on library innovation and professional development for Library Journal, The Digital Shift, and Publishers Weekly, and has delivered dozens of trainings on technology and online life to staff and the public. In May 2015, her book Emerging Technologies: a Primer for Librarians, co-authored with Michael P. Sauers, was published by Rowman & Littlefield. 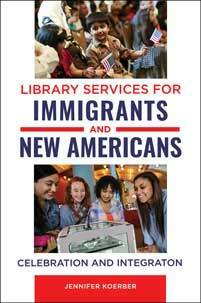 In May 2018, her book Library Services to Immigrants and New Americans: Celebration and Integration was published by Libraries Unlimited/ABC-CLIO. The book was inspired by her article of the same title for Library Journal in 2016. Offers short to full-day classes and workshops for library staff and the public; topics include mobile technology, social media tools, online safety and etiquette, emerging technologies, and other skills for 21st century daily life. Also offers staff-specific trainings on professional skill development, keeping up with technological advances, and interacting well with the public and their devices. Please see my Workshops & Trainings page for a full list of past work. Extensive experience with writing and content creation ranging in length from short flyer blurbs to full manuscripts, with special expertise in discussing technical topics for a non-technical audience. Additional experience in journalistic writing, including interviews and assembling query results into comprehensive, practical, readable articles. Please see my full list of writing for samples. Staff professional development/technology training program development, from assessment to initial training/program kickoff. Website review and analysis from a user experience and taxonomic perspective, providing recommendations for improvement and categorization of content. Building review from a user experience and design perspective, providing suggestions for usability improvements for staff and the public. Current: Available to speak to architecture or interior design audiences on the intersection of form & function, design & user experience in a library environment. Can offer particular insights and advice for future-proofing design, “what’s next” thinking, and universal accessibility. 2004 – 2011: Provided onsite guided lecture of architecture and design of award-winning library branch to visiting students. Offered insight and practical advice on impact of design on building usability and experience. Participant in initial and final reviews for student projects, including feedback and suggestions for improvement. Advisor for long-term projects including thesis study in architecture. Additional Tour/Lectures at the Honan-Allston Branch from NJ Institute of Technology, University of Virginia, and more than a dozen other schools over 6 years. Coordinating and providing training for more than 700 library staff during the implementation of Alma, a unified resource management system (next-generation ILS) from Ex Libris. As co-chair of the Training Working Group, oversaw the development of training materials based on documentation from functional working groups. Coordinated the Train-the-Trainer program to get 50 staff trained, using drafts of the training materials, and then scheduled them to train remaining staff. Currently shifting from immediate-need hands-on training to a long-term manager-driven training program. Project term ends in June 2019. Coordinated system-wide public technical instruction for the BPL; developed curriculum for trainers, for both face-to-face and online classes; developed content and program support materials for classes. Oversaw final development and launch of LibGuides CMS installation, including content evaluation, content creator support, and oversight of CSS/look & feel updates. As part of the Web Services team, develop, maintained and supported all aspects of web-based library services. Coordinated training for staff and patrons in training labs and pushed through the library website. Monitored and recommended emerging technologies that were in line with the library’s mission and goals. Assisted with design, architecture and updating of library’s intranet and public-facing web portals. Branch manager at one of the largest and busiest branches of an urban public library system. Oversaw all branch functions and staff, including scheduling, budget management, program and community use of space, art gallery exhibits, and high-level community outreach and collaboration with local organizations. Ultimately responsible for the condition and upkeep of the building, for adherence to and interpretation of library policy, and for being the public voice of the branch to the community. Represented branch interests to senior library management and advocated for the needs and interests of branch staff and neighborhood patrons. Continued to provide all services of reference librarian to patrons as needed. As part of an adult services team, provided all ready reference, reader’s advisory and research assistance for adults and teens. Supervised branch operations in the absence of branch head. Instructed patrons and coworkers in computer and database use. Developed collections in nonfiction, travel, science fiction/fantasy, reference and young adult fiction areas. Collaborated with branch head and adult librarian to develop programming for adults and teens. Supervised adult and teen volunteers. Coordinated all aspects of youth services at branch level as solo childrens’ librarian, including: providing reference and homework assistance for all age levels, designing and implementing programs, maintaining and selecting for all childrens’ and teen collections, administering all relevant budgets, supervising adult and teen volunteers, and acting as liaison to local schools and youth organizations. Researched, formatted, copyedited and proofread sales training texts and learning system elements for pharmaceutical sales publishing firm. Involved with design and layout of documents using desktop publishing platforms. A retail background ranging from a New York department store to a small New England-based guest house group has given me a key sense of what good customer service is and what it requires of staff and an organization. In addition, I bring a retail sensibility and an understanding of business principles to my library work. I was at the CLA Conference yesterday and didn’t write down the address for the information you had. Could you please give me the address so I can access the information? I sent you email with the URL, Cyndi – thanks for asking! I want to attend training to learn how to transfer photos from camera to computer or thumbnail. Can i come for your class wed? Hi, Carole – I sent you email with specifics, but yes, this is something we can cover in the Drop-In Tech Session at Ipswich Library. Thanks for asking!